When Teal-Jones Lumber, a member of the Teal-Jones Group, purchased Langdale Lumber in Antlers, Okla., in late 2014, it continued its parent company’s proud tradition of providing customers with top quality wood products. 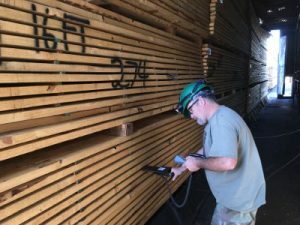 The Oklahoma mill manufactures dimensional Southern Yellow Pine lumber – used in a wide range of building applications because of its strength, dependability, and versatility. 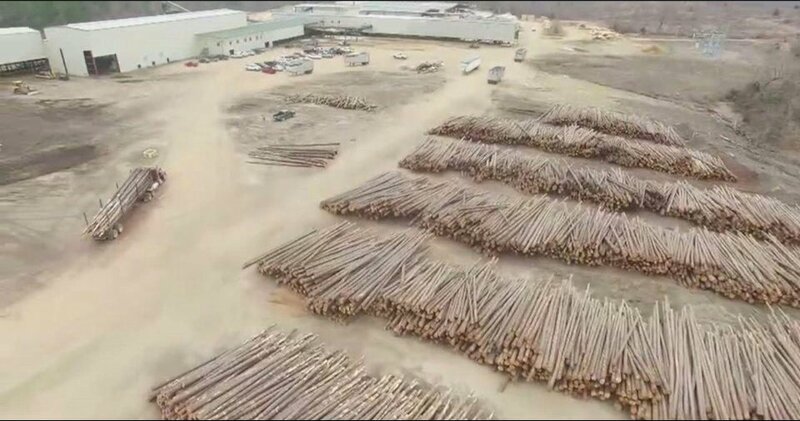 The pine logs come to the mill from the surrounding area where they’re cut, dried, and planed, and then sold to wholesalers throughout the United States and parts of Mexico. On average, Teal-Jones produces 50 million board feet annually. In 2016, however, the mill is expecting record production. 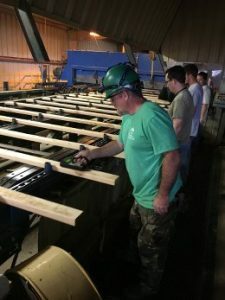 The process for producing quality products and ensuring consistent grading standards is rigorous at Teal-Jones Lumber. They inspect each piece and grade it for minimum knots, bark remnants, slope of grain and material efficiency in order to meet or exceed all standards. But it’s in their two double track kilns, each capable of drying 125,000 board feet per charge, that consistent quality is maintained. To help minimize warping and shrinkage associated with green lumber, our Southern Pine is kiln dried for long-term stability,” says Kerry Cogburn, Teal-Jones Kiln Supervisor. “In fact, our kiln drying is critical to our success. In order to produce high quality products, it’s extremely important that we know the moisture content (MC) throughout the drying process because if we overdry or under dry the wood, we can downgrade it,” he adds. To maintain lumber quality by proper drying, Teal-Jones uses the MC4000 In-Kiln Moisture Measurement System from Wagner Meters. Installed in the mill’s two kilns, the MC4000 works in tandem with American Wood Dryers’ Drystar Computer Control System. The Drystar takes the information provided by the MC4000 and instructs the kilns what to do – heat up or cool down, adjust the dry bulb or wet bulb, and open the vents. As a kiln supervisor, Cogburn attests that kiln drying is an art requiring skill and technical knowledge. “But having a dependable in-kiln moisture measurement system working together with the Drystar computer system makes it that much easier,” he says. There’s also a significant economic advantage. “By minimizing our hot checks to one, maybe two per charge, we’re not losing that heat. And that saves us energy. In fact, I estimate it saves us conservatively $300,000 annually due to savings in time, energy costs, and the effort that’s spent drying the wood,” he adds. When the MC4000 says the wood is done, kiln operators probe it with Wagner’s L722 stack probe attached to the L622 handheld moisture meter for confirmation. The challenge is leaving the right amount of moisture in the wood to keep it from overdrying or under drying. Kiln operators using with Wagner’s L722 stack probe. “That’s where the L622 and the stack probe comes in handy. When the magical number (MC) comes up with the MC4000, they’ve been consistently reliable in confirming our wood is ready,” Cogburn declares. In the past, the mill used a pin meter to see if the charge was ready. But that proved unreliable – and costly. “With the pin meter we might have to start that charge two or three times before it was satisfactory. The L622 and the stack probe eliminate that,” he says. Moisture management is critical for Teal-Jones Lumber, especially during the kiln drying process. “It’s what has helped us produce quality lumber consistently and efficiently,” says Cogburn. The Teal-Jones Group, the largest privately held forest products company operating on the West Coast of Canada, is known for its top quality wood products. It has a reputation of being one of North America’s premier producers, manufacturers, and distributors.